Zee Kannada, a leading General Entertainment Channel in Karnataka, has never failed to regale its viewers by its unique content. Reappearing after two and half years, the channel is bringing back one of the most celebrated non-fiction shows, Weekend with Ramesh Season 4. The previous seasons of Weekend with Ramesh created a legacy in Kannada small screen industry. Tune-in to witness the new season of Weekend with Ramesh starting from April 20th, every Saturday and Sunday, at 9:30 PM. 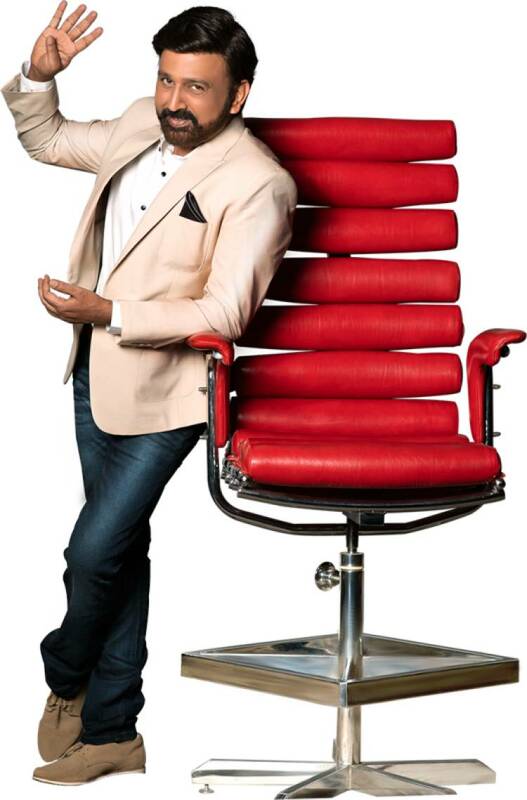 Weekend with Ramesh has achieved considerable responses from the audiences for its three legendary seasons. The popular show, not only manifests the path of success of the guests on the Sadhakara seat, but also provides a great platform for the guests to recollect and share their old memories with their ardent fans. Witnessing prominent stars in the show, Weekend with Ramesh bears nostalgia in the show creating an environment of inspiration and enthusiasm amongst the viewers, making the show a huge success in the Kannada television industry. The central attraction of the new season is the promo release on the channel’s social media platforms. The promo for Season 4 is like none other shot before, as the team travelled to Mandalpatti Peak, near Madikeri, which is 258km away from Bengaluru to shoot the exclusive promo. Constituting a set in the beautiful off-set location under the leadership of Raghavendra Hunsur, Business Head, Zee Kannada, is what has clicked with the viewers.